These presentation slides 27239 are complete compatible with Google Slides. Simple download PPTX and open the template in Google Slides. 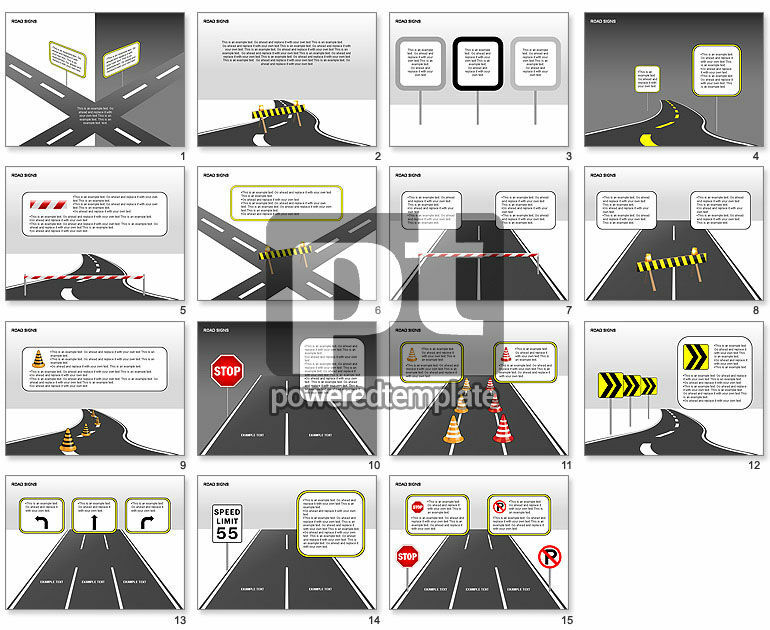 Terrific visual collection for presentations on road-building, road transport policy, road design, road construction, maintenance of roads and highways, road laws, etc.